A Jedi prophecy said the chosen one would bring the Force back into balance. Did Anakin fulfill it? If so, how? Obi-Wan thought he would “destroy the Sith, not join them”. But how would that be balance? The prophecy can be understood, but it requires an unorthodox explanation of the Force, heretical to the Jedi, but true to the films. This even reconciles key tenets of Eastern and Western spirituality and exhorts us to attain a balanced life, while purely good, uncompromising with evil. First, what is Eastern and Western spirituality? Largely derived from Judeo-Christian religion, Western philosophy has a clear distinction between good and evil, in which good ultimately wins. This flows from the theology that God is purely good, and He says to us, “Be holy, as I am holy” (1 Peter 1:16). Conversely, Eastern philosophy emphasizes balance. (Think yin and yang.) When grounded in pantheism, this means that both good and evil must coexist, such that neither is truly bad. As these two worldviews contradict, when I first heard of the prophecy in The Phantom Menace, I thought it was just another instance of garbled Eastern philosophy in a Western movie. While it seems heretical to question the Jedi about the Force, we must remember that the events of the Clone Wars reveal their fallibility, as they even lead an army of slaves side by side with a Sith Lord. © Lucasfilm Ltd. The Sith make a different mistake. While turning to the Dark Side, they also embrace something contrary to the living Force: Evil itself. As Obi-Wan correctly states, the Force flows from life, “created by all living things”. But the way of the Sith is the way of death. We come to the following Venn diagram, which draws a distinction between two complementary “Goods” and a contrasting “Evil”. While the first two columns must be championed in balance, the third must be defeated. Do you agree with the chart? What should be added, removed, or changed? While no longer canon, note the Sith Code in the second column. The Jedi only value the first column, while the Sith embrace aspects of the second and third. The Jedi are unbalanced. The Sith are worse off, unbalanced, “twisted and evil”. 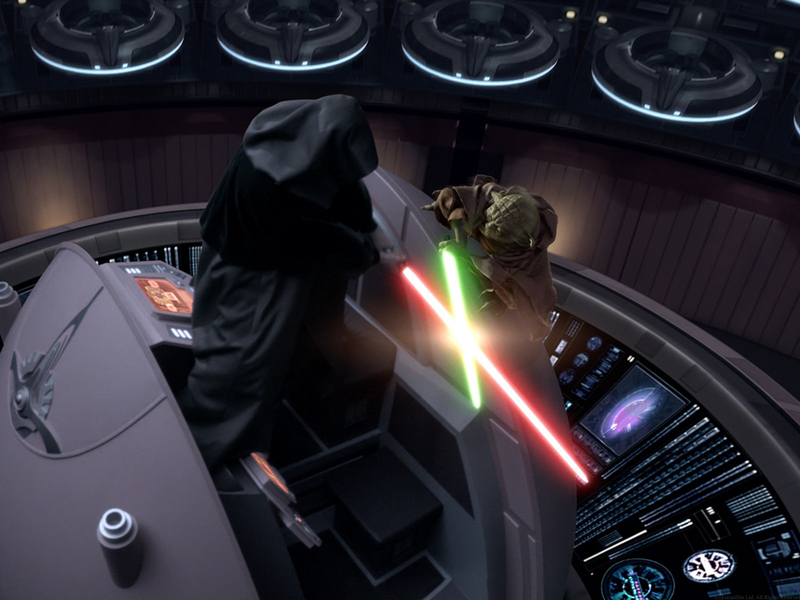 Using the first row as an example, we can see how Anakin brought balance to the Force. The Jedi committed themselves to the common good, often spurning love for individuals. Initially, Anakin began to balance this, caring for the mission, but also his mom, wife, master, and even his droid.3 As his tendency was discouraged by the Jedi and manipulated by Darth Sidious, he gave in to not just the Dark Side, but Evil itself, succumbing to hatred, anger, and death. 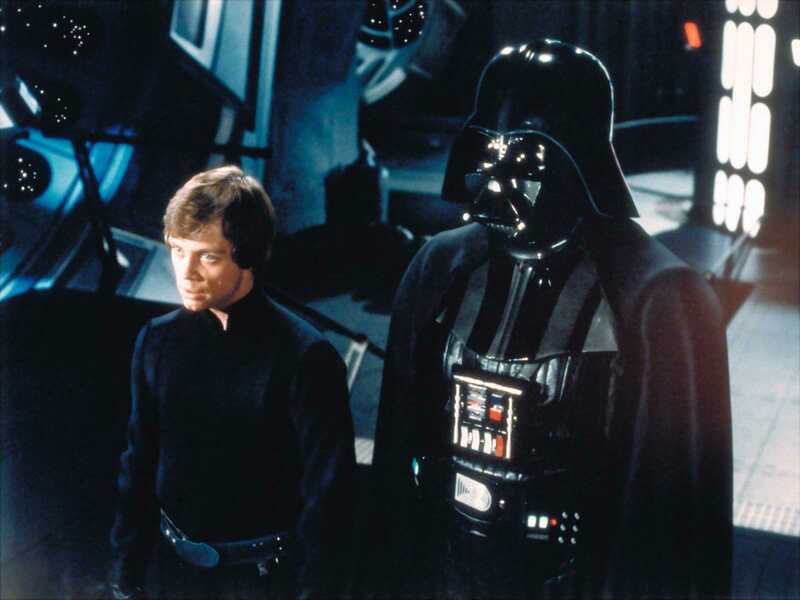 Luke begins down the same path, but ultimately remains true to his love for the galaxy and love for his father. Fulfilling the prophecy as the chosen one4, Anakin as Vader hunted the Jedi and now kills the Emperor, leading to his own death. This leaves only Luke, who lives the balanced Force. Applying the insight from Star Wars, we can find a balance between Eastern and Western Spirituality. We learn from Eastern thought that many good things must be held in balance. At the same time, this does not mean that everything in this world is good (and certainly not god incarnate as the pantheist argues.) Hence, God’s call to holiness is a call to balance, not between Good and Evil, but between complementary Goods. This message applies to our politics, especially as we see the nation and world polarize faster and faster. At his TED Talk, Jonathan Haidt notes that liberals and conservatives have different moral strengths, and that we need both to solve our world’s problems. Referring to Eastern philosophers, he calls for balance. For instance, good political philosophy requires a balance of maintaining liberty while also ensuring general welfare. That said, we need Western thought as well5, as certain mentalities have no place in society, which we must work together to eliminate. Using the example of immigration, while we need a balance of compassion to the foreigner and security for the nation, we must solidly reject xenophobia and racism.6 Unfortunately, we too easily only apply the Western mindset. Instead of seeking compromise between the good aspects of both political philosophies, we deem the other party as the evil to defeat, seeking victory at the polls at all costs. At asyourpoetshavesaid.com, we relate spiritual truth in our favorite stories to our lives. So, while valuing the political implications, let us not miss other, more personal opportunities to practice this message of balance and goodness. Look again at the chart. First, which evils have you embraced (or let slide)? Second, examining the first two columns, how are you unbalanced? 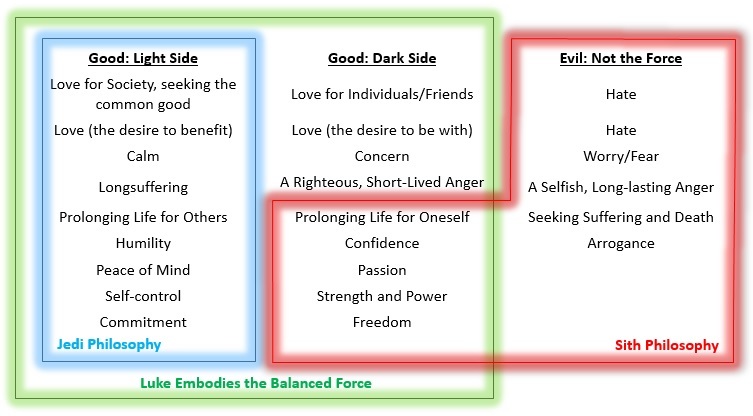 How can you better balance the proverbial “Light and Dark Side of the Force” in your life? Well done. You tackled a difficult subject. I appreciated the chart and it helped with your argument. While I might quibble over some wording, I agree in principle about living a life in balance “between complimentary Goods”. Could you explain “certainly not god incarnate as the pantheist argues?” Are you or a pantheist saying that Jesus’ incarnation is not good? Philippians 2 argues against the Gnostic teaching that “the material” is evil and therefore Jesus was not incarnate but a ghost. Thanks for the kind compliment and the request for clarification! I did not mean to say that Jesus’s incarnation is not good. Instead, I was critiquing the pantheist notion that all existence is Divine, including that which is good and that which is evil. Pantheism maintains that the evil in our world must continue to exist, while Jesus incarnated precisely to remove evil from this world. He calls us to repentance and to love. Even more, He died as punishment for the evil we have done, and He rose again so that death itself will one day be no more. While pantheism deifies the universe, Gnosticism goes to the other extreme. In some ways, it is more “Western” than Biblical Christianity as it declares all matter evil. Instead, Scripture calls us to balance, celebrating both physical creation and spirituality, while placing greater importance on the latter.